Valve travel query - small spool valve engine. I'm in the process of making a small twin cylinder spool valve steam engine and hoped someone may be able to help a little regarding the valve travel. I've made the engine without plans and a lot of it's running capability is reliant on a trial and error to see what works and what doesn't. I'm now a bit confused, should I still make the eccentrics to give a 9mm travel giving the pistons their strongest push before each end of the valve travel or do I need the valves travelling just 7mm to give the greatest power at the end of their travel ? I guess the engine will work however I do it but I'd like to make it to run as smoothly as possible if I can. 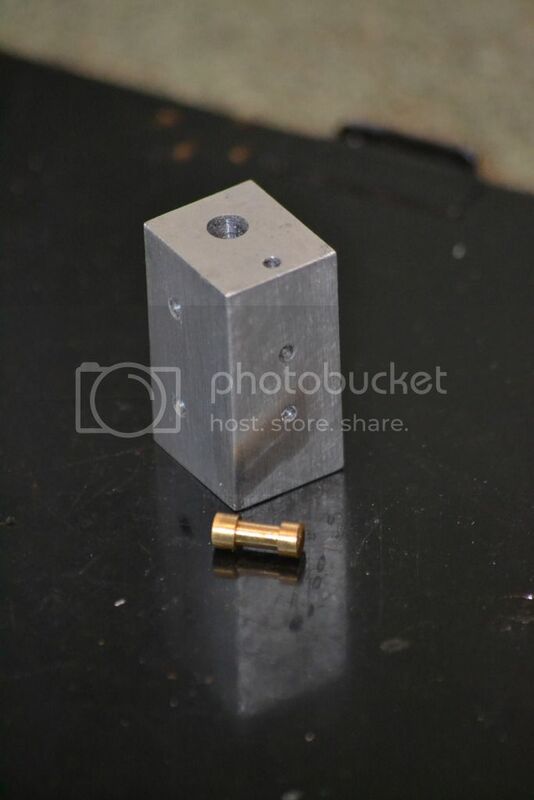 Re: Valve travel query - small spool valve engine. Peter, do you happen to have a sketch of the valve arrangement perhaps showing the port spacing, and the design of the spool? I took a few photos along the way but have now forgot the measurements I used - I just remember at the time thinking 9mm valve travel was needed - I realise it's a poor way of doing it but that's where I'm at. I can see if I can did out a of couple of photos though if that will help, it's only really come to light now that I'm ready to make the eccentrics and was trying to check the throw needed that it seems to operate better with a smaller throw. Post them if you can find them, it might help. The Paddleducks engine designed by John Morse is a spool valve, and on this engine the eccentric offset is 3mm, total travel is 6mm, and each spool on the valve is 3mm. The steam ports are also 3mm, and spaced 16mm apart. The outer ends of the spools are 19mm apart, but that is measured before making the valve. The general design is that at center position both valve ports are closed, and at full stroke both are open, one to steam and the other to exhaust. It's unclear to me that shortening the stroke and thus reducing the exposed port areas offers any advantage. Unfortunately I don't have any measurements as the valve chest and cylinder are now permanently attached, this photo is of little help without dimensions but it does at least show the design of valve I'm using. The 2 holes on the left are the exhausts and out of sight on the back right face is a centrally placed single inlet - the 2 holes on the front right have now been blanked off as they were only needed while I was drilling the transfer passages. I can see the point that a shorter travel shouldn't be needed but it's not beyond the realms of possibility my drilling is slightly out and as it seems to operate better on a shorter than expected travel am I better making the eccentrics as such ? I guess what I'm trying to say is in this type of valve should the valve travel just beyond the point at which the piston appears to receive the most power or should the greatest power delivery be at the ends of the valve travel. Bad Behavior has blocked 15195 access attempts in the last 7 days.